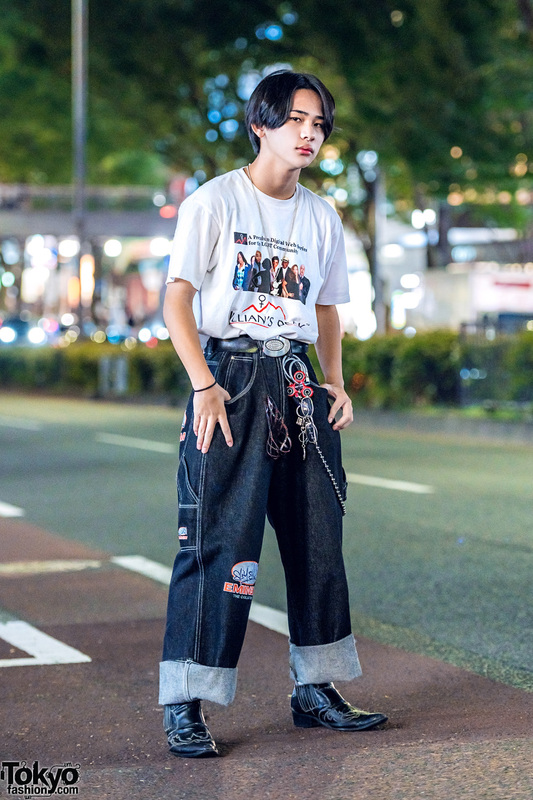 Harajuku teen sporting a monochrome streetwear look while out and about on the street one evening. 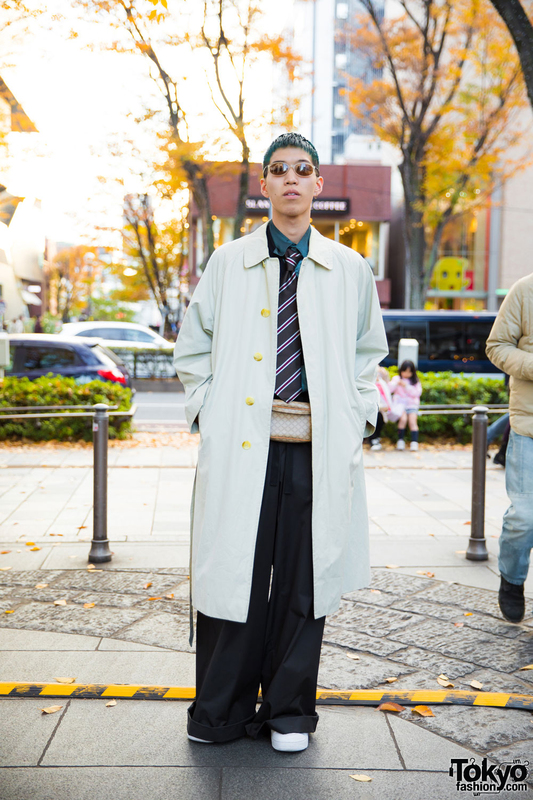 Green-haired hair stylist wearing a long coat over a teal button down shirt w/ diagonal striped necktie, black pants, white sneakers and a belt bag. Harajuku student in layered winter fashion style with striped sweater over puffer jacket, rolled up corduroy pants, yellow sneakers, black backpack, fuzzy hat and a knit muffler. 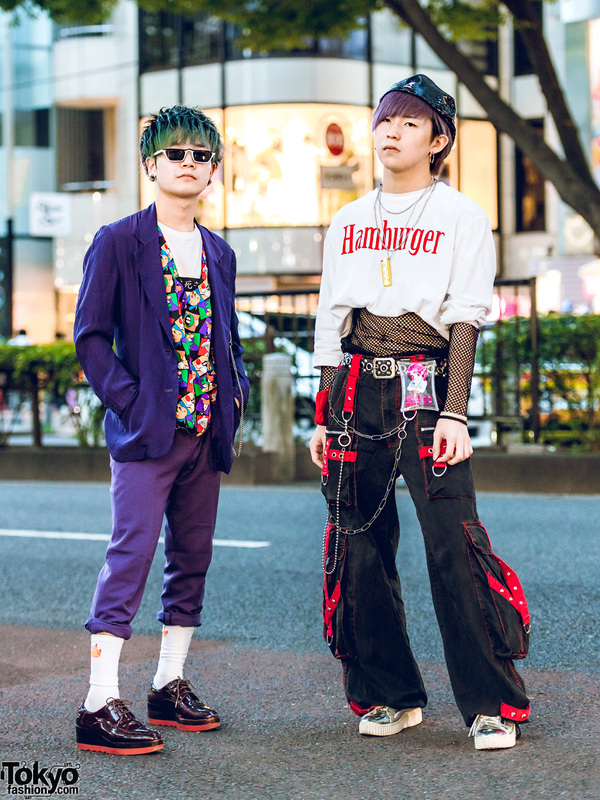 Harajuku shop staff in monochrome fashion w/ oversized shirt, vintage leather pants with rolled up cuffs, platform creepers, belt bag, orange beanie hat, chain earrings, sunglasses and silver knuckle rings. 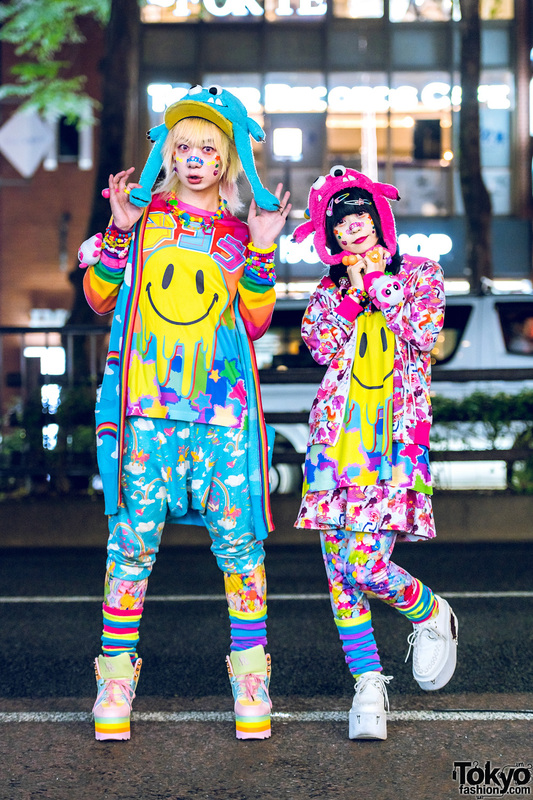 Harajuku girl with black long sleeve dress, backpack and sneakers and guy with long shirt over sweatshirt, rolled up pants and sneakers. Harajuku girl with curly hair and red hat wearing a patchwork back t-shirt, rolled up pants, floral slippers and toast print tote bag. Blonde Harajuku girl wearing a khaki bomber jacket with rolled up pants, oxfords and canvas tote bag. 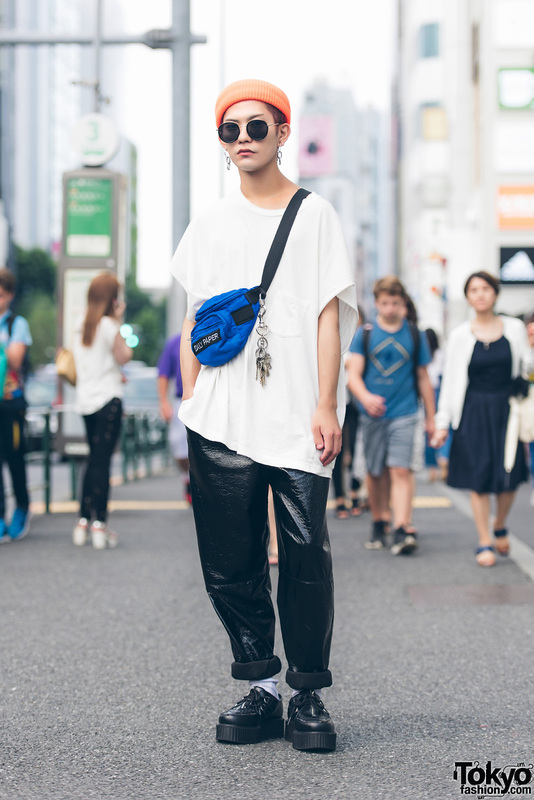 Harajuku girl wearing a twin buns hairstyle with black and white t-shirt, red pants and studded platforms.